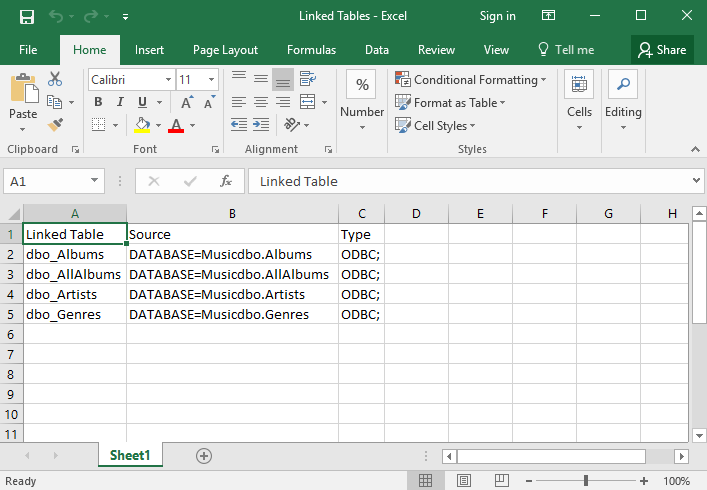 Do you know the new Access 2016 has a new feature with which you can easily export your linked Access tables to Excel? This feature is really very helpful if you are working on a complex database with links to many different data sources. Such list might also be contained in any documentation you might write for the database. 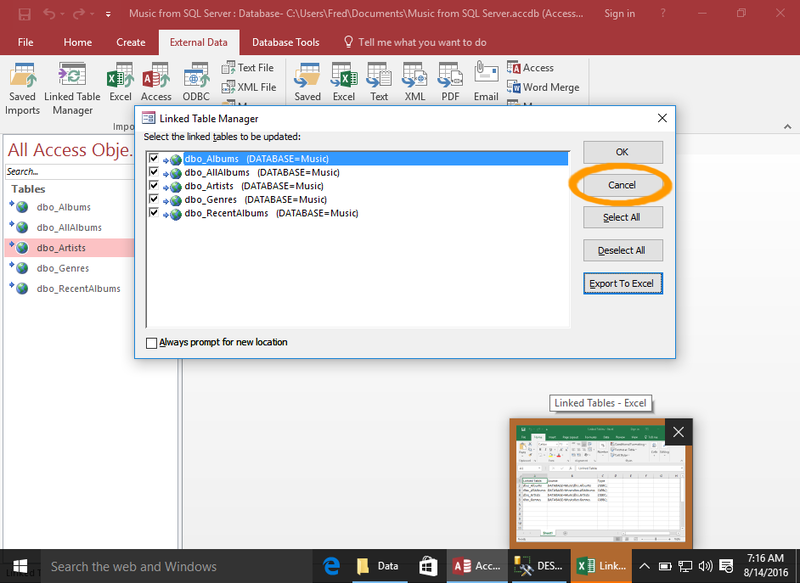 Click to the Linked Table Manager button in the ribbon from the External Data tab. 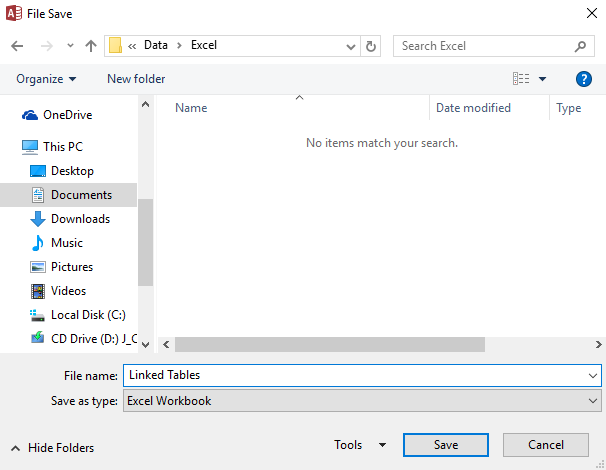 Make selection for the table you want to export and click Export To Excel. You can tap to the ok option, to refresh the tables first, before running the export. This will clarify that the information your export is correct. Assign name to the File and click to the Save option. To close the linked table manger, click Cancel. If you tap to the ok option to update all tables first, this button will read close. 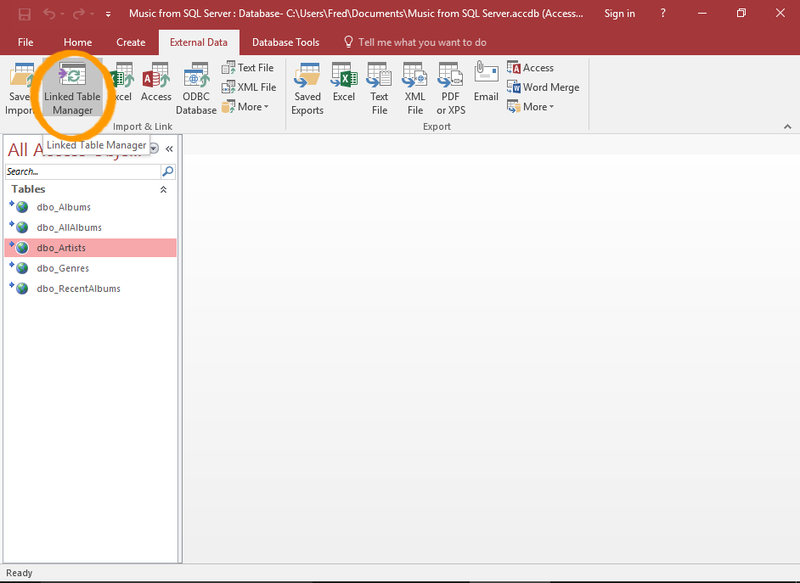 Now open the excel file to check it's content. You may notice that the excel file is already blinking in the windows taskbar. In such case, just simply click it to open the Excel file.